Are you a solopreneur with a very successful business? If this is the case, you may be thinking about expansion. Solopreneurs have different things to consider than business owners or entrepreneurs. First, let’s discuss what the difference is between a solopreneur and an entrepreneur. The solopreneur likes to work for himself and enjoys being in business. He has energy and time to put into the business and gets excited with all aspects of working. Typically, he enjoys the flexibility that being a solopreneur offers. The entrepreneur is willing to put energy and time into starting a business but the future goal tends to lean towards having others run the business or potentially selling the business for a profit. This person likes the management end of the business. Here are some tips for solopreneurs thinking about business expansion. Determine what your goals are for the immediate future, 3 years and 5 years down the road. Write them down and be realistic. Determine what success looks like to you. There are many ways to grow a company. Do you need to find financing? Can you afford financing? Ask yourself why you are expanding? Is the cost worth what you want to achieve? You’ve set your goals. This step defines them in more detail and should include ways to measure your success. As you expand, you will need to automate tasks that you were previously able to handle on a daily basis. There are many free or low cost ways to automate activities. Ask on social media for recommendations. You will find many helpful answers. Get some and be one. This is a great way to share and gain knowledge from those at different levels of business. You can prevent many mistakes by listening and communicating with those who have already been in the trenches of expansion. You will find the ongoing support is invaluable. 6. 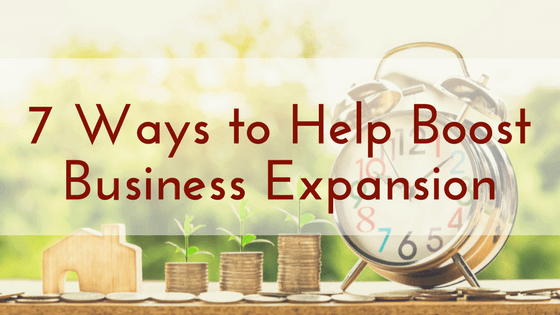 Why Do You Want to Expand Your Business? As you go through the planning stage, you need to keep asking yourself if expansion is aligning with your personal values. Are you still happy with what is happening to your business and to your life? 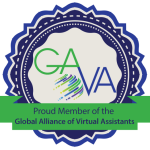 Consider using a virtual assistant (VA) to assist you in your expansion. A VA can handle many of the activities that you don’t like or want to do so that you can concentrate on your business expansion. VA’s can help take the additional load off of your shoulders. Solopreneurs have the advantage of making their own decisions on what is right for their company. Expansion is great if that will still allow you to follow your dreams and expectations. Your expectations will change as your business grows. Remember, even growth has “growing pains”. Not everything will work according to plan, however, good planning allows the solopreneur to keep moving forward despite any challenges. Planning business expansion is an exciting time. It can also be stressful so give yourself credit for all that you have accomplished thus far. Keep your business in perspective and remember, you started your business and can keep it moving forward.